"Just Did A Great Service"
"Pleasant,Smart And Friendly, Explained The Problem And Was Quick, Clean And Tidy Doing The Job." 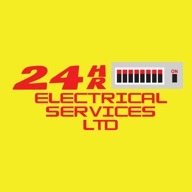 "Good Customer Service And Quick"
"Quickly Found An Electrician To Do The Job Who Contacted Me Straight Away." "Very Pleasant. Explained Every Thing. No Fuss. Excellent." Need a Plumber, Heating Engineer or Electrician in Hull?